After spending 3 weeks in The Philippines, I can safely say it is my new favourite country in the whole entire world. 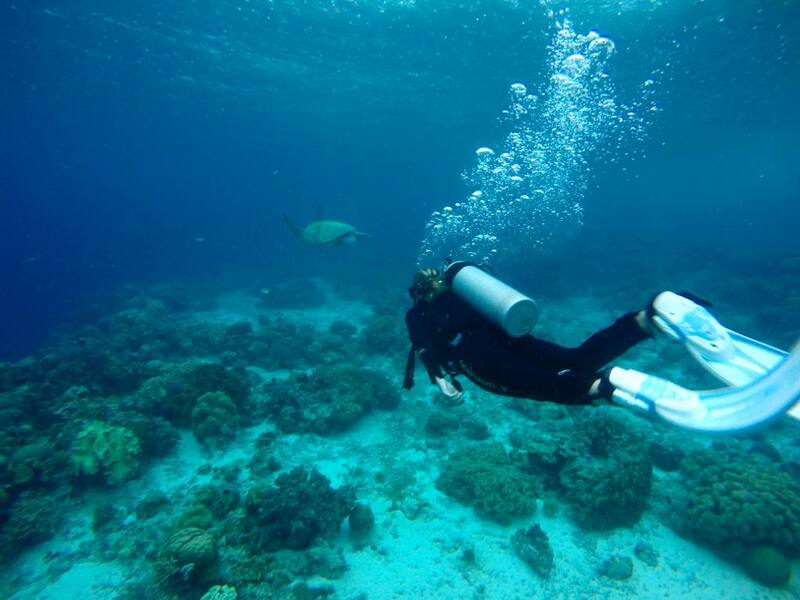 The people are warm and friendly, the scenery is spectacular, the beaches are the definition of paradise and the scuba diving is the best I have ever experienced – I could go on! There are so many positive aspects of this beautiful country, but tourism is still in its infancy and planning a trip here can feel like a bit of a logistical nightmare. There are three seasons in The Philippines; rainy season (June to September) shoulder season (May to November) and dry season (December to April). If you want guaranteed sunshine 24/7, don’t visit in rainy or shoulder season. Whilst geographically located in South East Asia, The Philippines is a world away from the likes of Thailand and Vietnam. Tourism is still a fairly new concept but locals are embracing it with open arms. Wi-Fi and electricity are both commodities in The Philippines, with many of the Islands running with no electricity in the daylight hours. Being made up of thousands of Islands means that there is no obvious ‘beaten-path’ and quite honestly, the possibilities are endless. 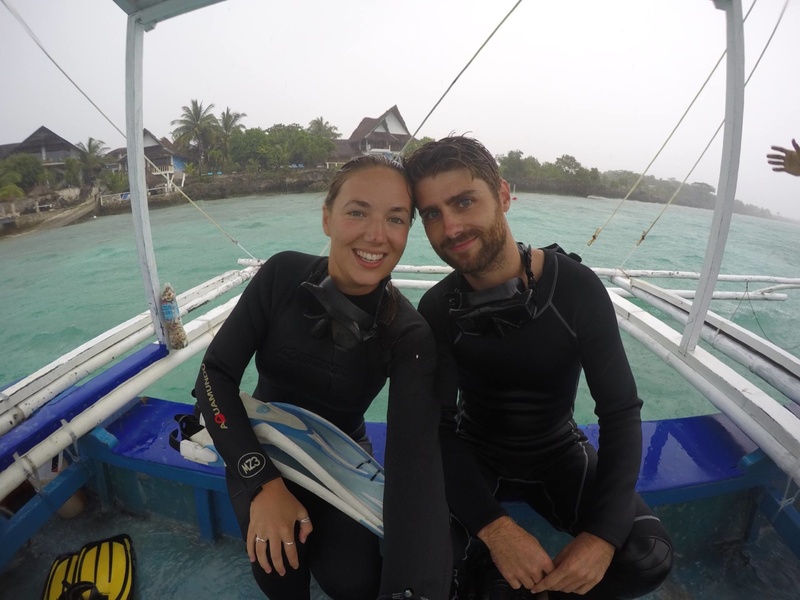 Make sure you do further research aside of this post, but if you’re looking for a route that encompasses the very best of The Philippine’s beaches, scuba diving, wildlife and landscapes (both at sea and inland), then my 3 week route could be perfect for you. Many domestic flights around The Philippines all run from Manila, so there’s a chance you may need to take 2 flights to reach your starting point. We flew into Manila from Ho Chi Minh City, then immediately took a second flight to Puerto Princesca airport in Palawan. Both flights were with Cebu Pacific, which is a budget domestic carrier in the Philippines and in my experience, this airline is great value for money. In total we took 4 flights with them, none of which were delayed. We decided to bypass Manila all together as our Philippines itinerary is all about beach and sea air, not city and smog. 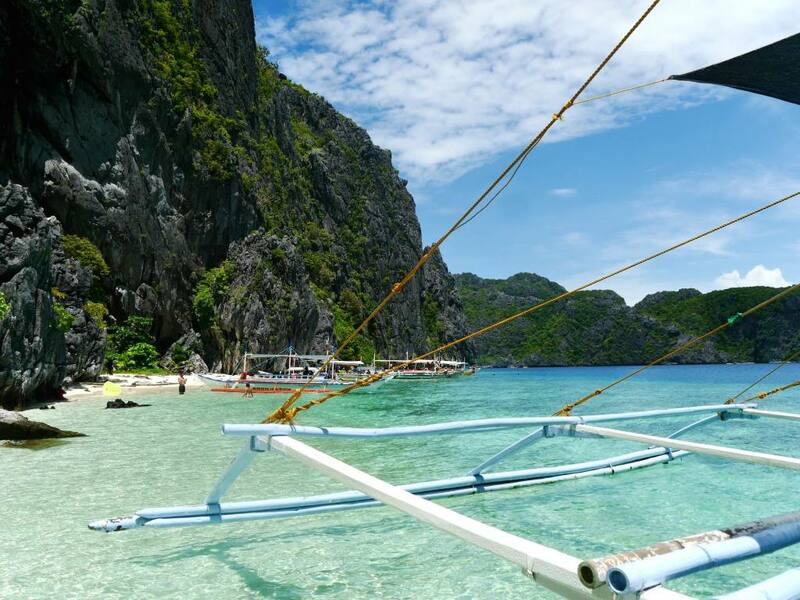 Travelista Tip: There are two airports in Palawan; Puerto Princesa and El Nido airport. Flights into Puerto Princesa are always the cheapest option, but it means you have to take a 5-6 hour van journey to reach El Nido when you get there. We hadn’t done our research before we travelled which meant we had to take the dreaded van journey there and back. If you can stretch your budget, I would 100% recommend looking into flights direct to El Nido because it will save you so much time, and a long uncomfortable journey. Our destination in Palwawn was El Nido, where we spent 5 incredible days (if you have more time on this island, check out Port Barton and the Underground River too). 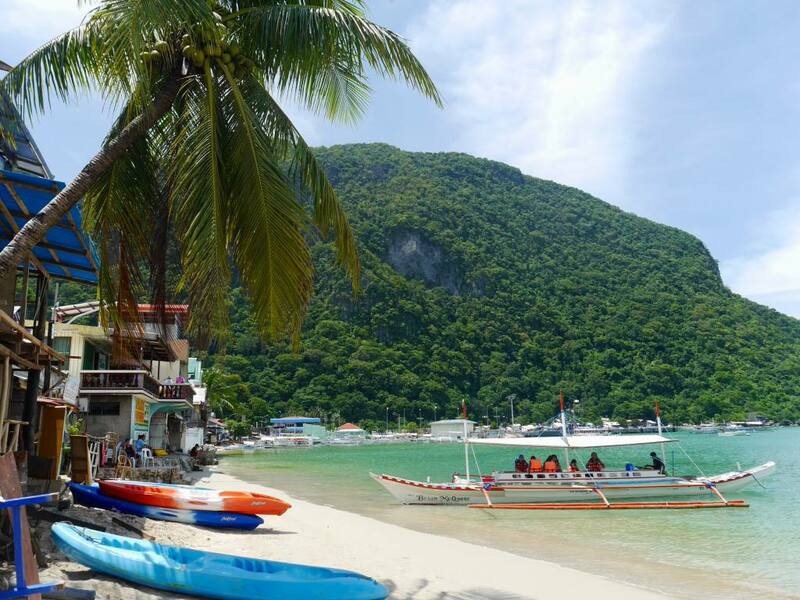 Whilst El Nido town itself is nothing to write home about, it’s the magnificent Archipelago of limestone islands that surround it, which attract travellers from around the world. El Nido is first on our itinerary as it is The Philippines biggest WOW-factor, and is guaranteed to set your trip off on the right foot. 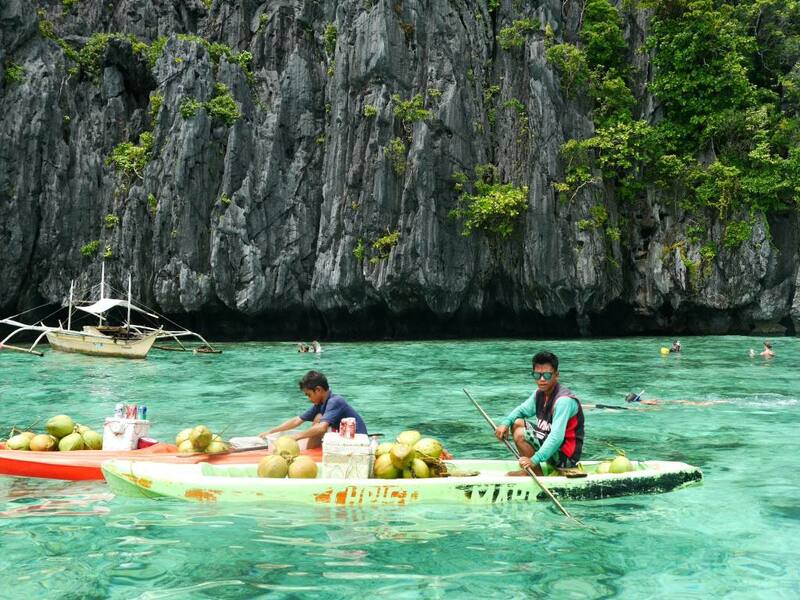 The main thing to do in El Nido is to explore the Archipelago on a selection of boat tours. All travel agents in the town sell 4 tour packages which are uncreatively named Tour A, Tour B, Tour C, Tour D. Wherever you book the tours, the package and the price is always exactly the same (no need to shop around). I would definitely recommend prioritising Tour A and Tour C, both of which were incredible! I’d also recommend spending the day at Las Cabanas beach, which is one of the quietest and most unspoilt white-sand beaches I’ve ever seen. You can also do an incredible superman Zip Line here over turquoise water to a nearby island and back. End the day watching the sunset with a delicious cocktail at Las Cabanas Beach Resort (located at a peninsular at the far end of the beach). Travelista Tip; Many of the swim stops on the tours have sharp coral and rocky sea beds with anemones that can sting. Either buy your own surf booties for the trip, or you can hire them from your tour operator in El Nido for a small fee. After El Nido, we flew from Puerto Princesa to Cebu City. Cebu City itself is known as a ‘mini-Manila’, so again we moved straight on out. From the airport we hopped in a taxi to the South Bus Terminal (located across town, costing about 200 pesos). From the South Bus Terminal we caught a Ceres Liner bus to Moalboal, which took 3-4 hours. Other than private cars, the Ceres Liner buses are by far the cheapest and most convenient way to get around Cebu. Half of them are new, air-conditioned coaches and half of them are hot old-school buses with snug seats and open windows. The air-conditioned coaches are 100 times more comfortable, but you never know which one will turn up first! 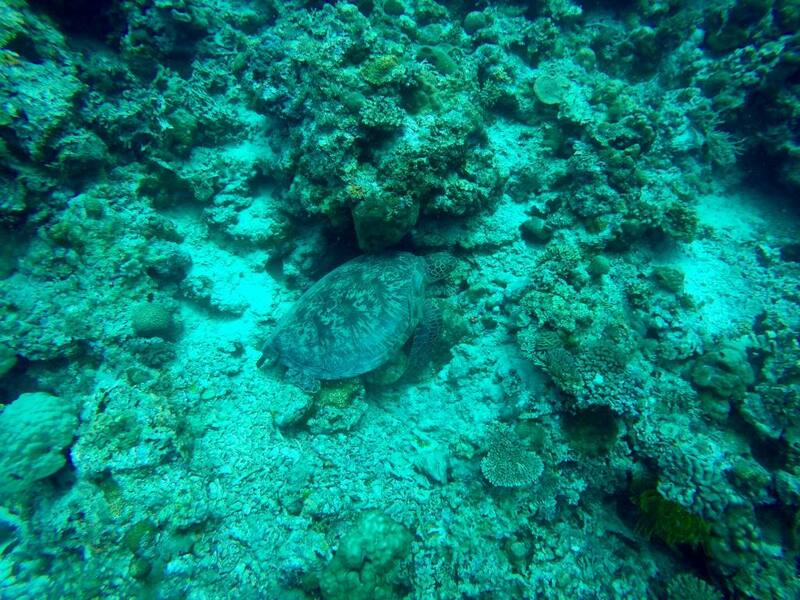 Moalboal is one of the best places to scuba dive in the whole of the Philippines, and is famous for its swirling vortexes of sardines and abundance of sea turtles. Whilst most travellers flock to hostels in Pangsama Beach, we based ourselves a little out at T Breeze Coastal Resort (perfect if you want an affordable and secluded hideaway). 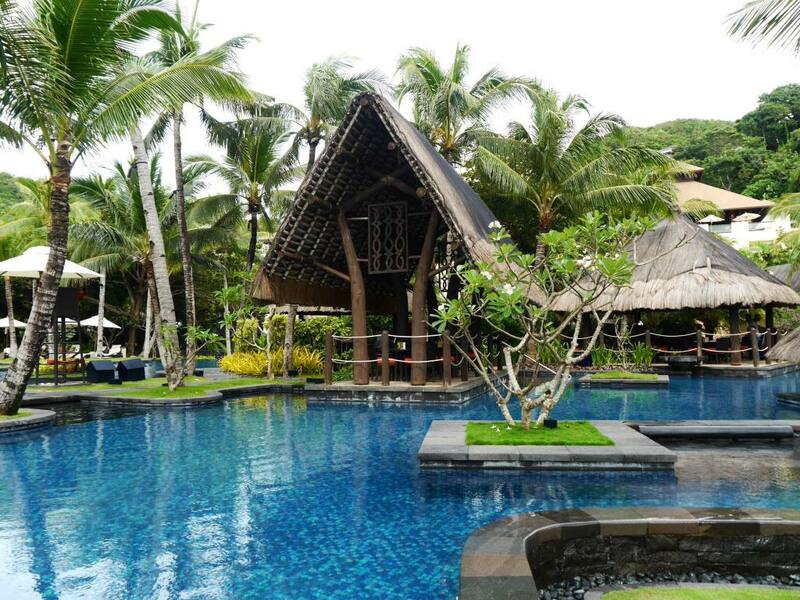 The best thing about T Breeze Resort was that it was located right next to a fantastic dive resort called Asian Belgian Resort, where we did all our diving. Both resorts are located right by a spectacular coral reef, and a little further down the coast is an open water turtle sanctuary. I’ve dived in Thailand, The Caribbean and The Maldives and the diving experience in Moalboal trumped all of them hands down. Next we caught the Ceres Liner for a further 2 hours down the coastal road to Tan-awan in Oslob for the once-in-a-life-time experience of whale shark watching. The non descript roadside town of Tan-awan has financially boomed in recent years, purely because of the whale shark activity. The experience itself costs 1000 pesos, includes snorkelling equipment and lasts 30 minutes. A longboat takes you about 50 meters offshore at 6am, where a huge school of whale sharks are being fed by fisherman. The experience of being in the water with these huge, gentle creatures is exhilarating and captivating in equal measure. Unfortunately you do have to share the experience with boat loads of other travellers, making your photos look like a slightly less majestic moment. As with any tourist activity involving animals, there is also a controversial side to the whale watching in Oslob as the animals have stopped migrating, but I am going to talk about this more in a separate post. Other than the whale shark watching there really is nothing else to do in Tan-awan so I would recommend staying for 1 night and then moving straight on. 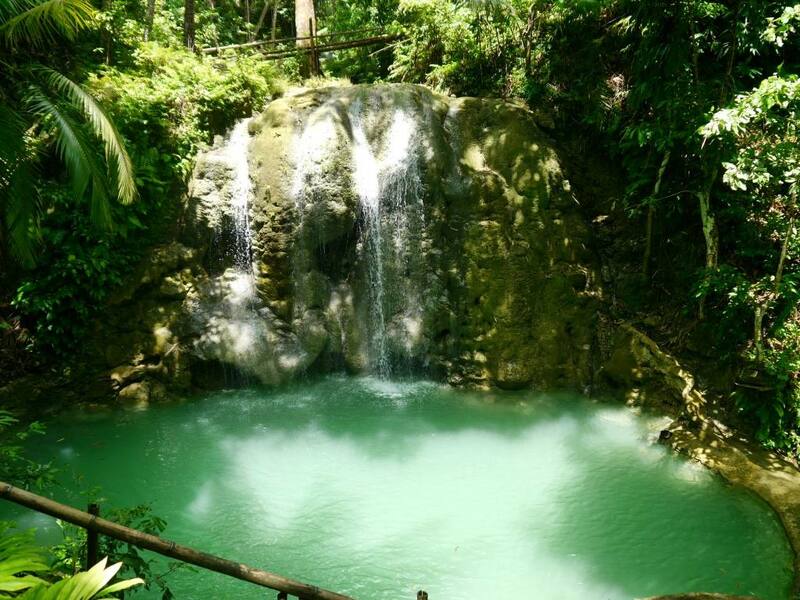 Siquijor is the island that feels most ‘off-the-beaten-path’ in this itinerary. To get here from Tan-awan is quite a complicated journey but it can be done in about half a day if you research your ferry times in advance. Firstly, you need to catch another Ceres Liner bus from Tan-awan to Liloan port (30 minutes), where you take a short ferry over to Sibulan port on Negros Island (40 minutes). After arriving at Sibulan port, take a trike across town to Dumagete Port (20 minutes). From here you can catch a ferry to Siquijor (2-4 hours depending on the type of ferry you take). 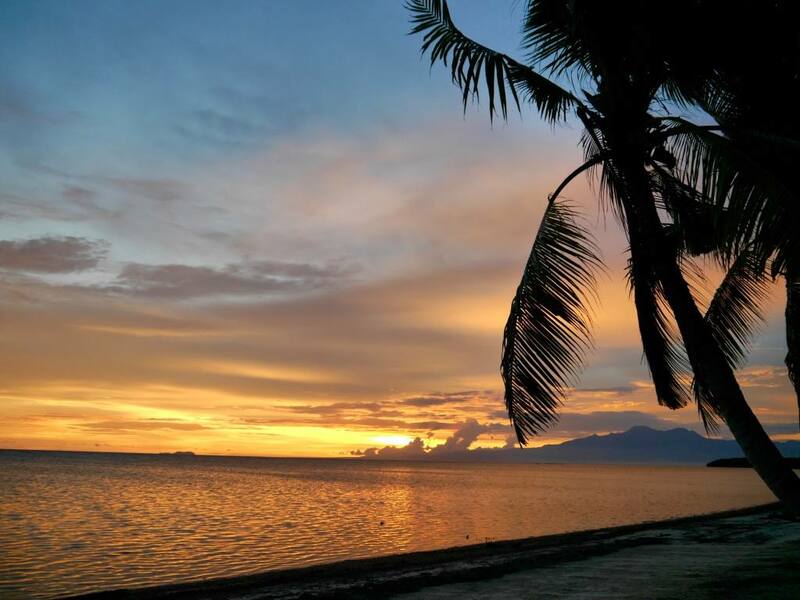 The mystical island of Siquijor is somewhat of a talking point across The Philippines, as it’s known of the mystical island of witchcraft and magic. The majority of Filipinos on do not dare to ever step foot on this island as they fear paranormal consequences. It’s true that white magic, black magic and ‘spiritial mountain healers’ are all very much still a part of this intriguing island. But if you’re not interested in that sort of thing, a few cocktails on the beach at sunset can also feel equally as healing. Whilst we didn’t go in search of the mountain healers, there was definitely a different energy in Siquijor that made you feel like anything could happen. Other than a few resorts in Siquijor Town and San Juan, tourism in Siquijor is extremely undeveloped. The best thing to do in Siquijor is hire a moped and do some independent exploring. You can drive around the whole island in 1 day simply by following the coastal ringroad (the only actual tarmac road on the whole island!). 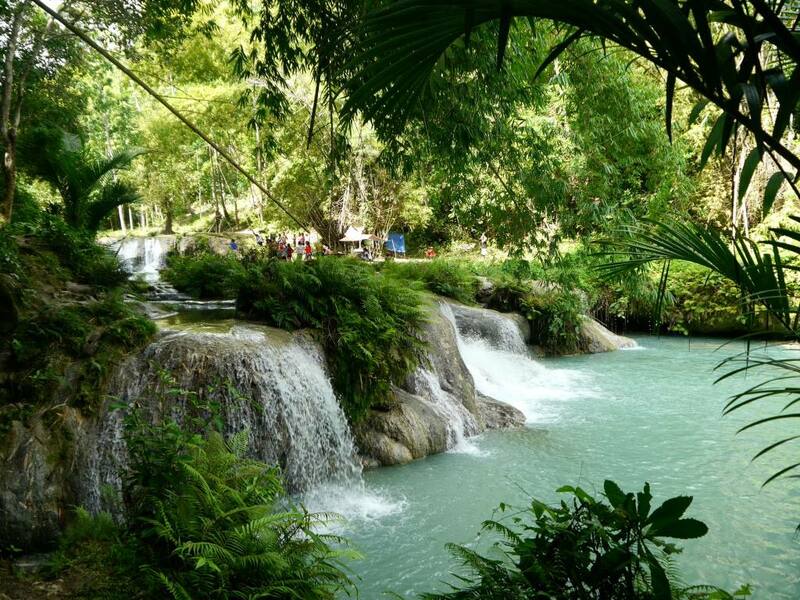 On your tour be sure to go in search of the hidden Lugnason Falls, the larger Kawasan Falls and the 400-year-old enchanted Banyan Tree. Up to this point, the itinerary has very much been focused on beaches, but our 4th island takes you inland to discover the delights of Bohol. From Siquijor we caught an Ocean Jet ferry over to Tagbilaran Port in Bohol which took 3-4 hours. Once in Tagbilaran, we shared a van transfer with another couple over to our base of Alona Beach. 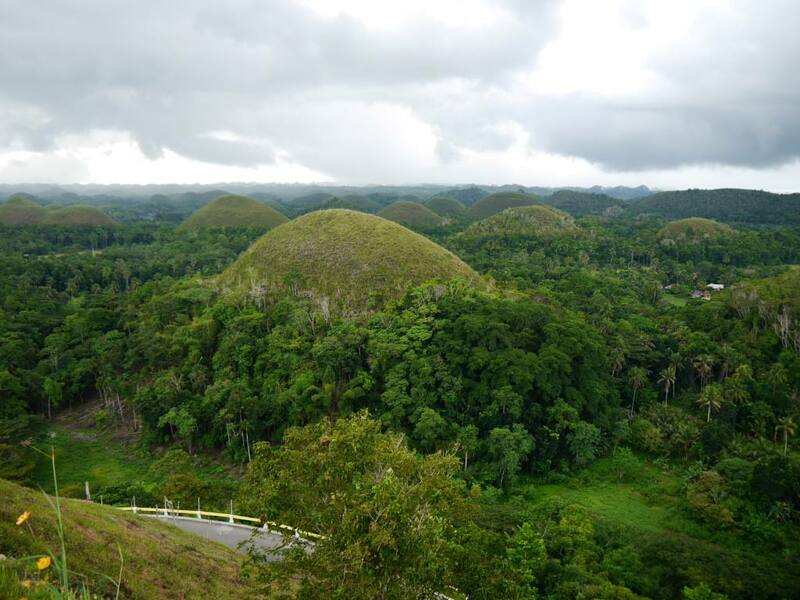 Most people visit the Chocolate Hills on day trips from Alona Beach, although there is some accommodation closer to the hills e.g. Nuts Huts. There are a few options for the day trips depending on how much you want to spend (options being private driver, go as a group and split the cost of a private driver or book through an agent and go with a coach tour). All tour prices are for the transport only, and then you pay for the entrance fees and activities as you go. 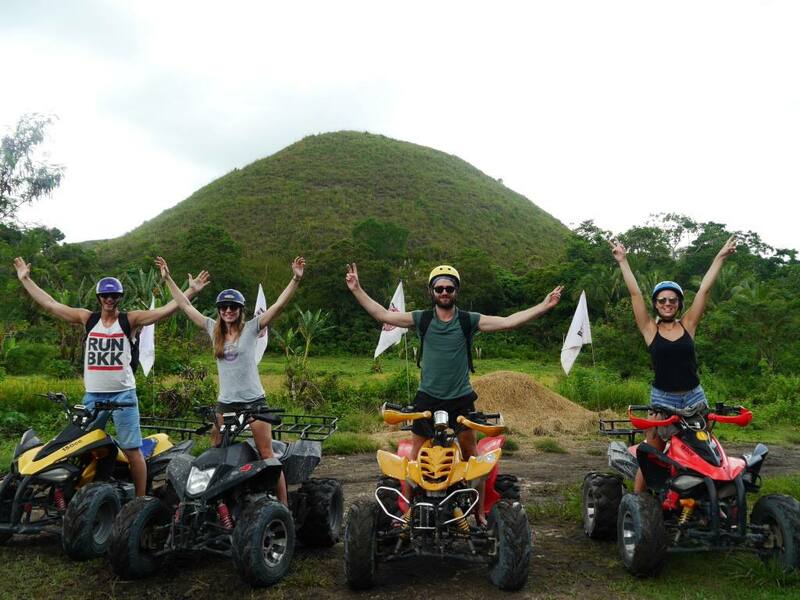 Tours can vary slightly but most will factor in adventure activities such as zip lining and quad biking through the Chocolate Hills (we did both). Another highlight of the Chocolate Hills is going to visit the bug-eyed Tarsiers, which are endemic to The Philippines and now under threat as a species. Tarsiers are nocturnal, solitary animals and if they get distressed they actually commit suicide (I know, can you believe it?). For this reason it’s important that the animals aren’t disturbed by tourists. 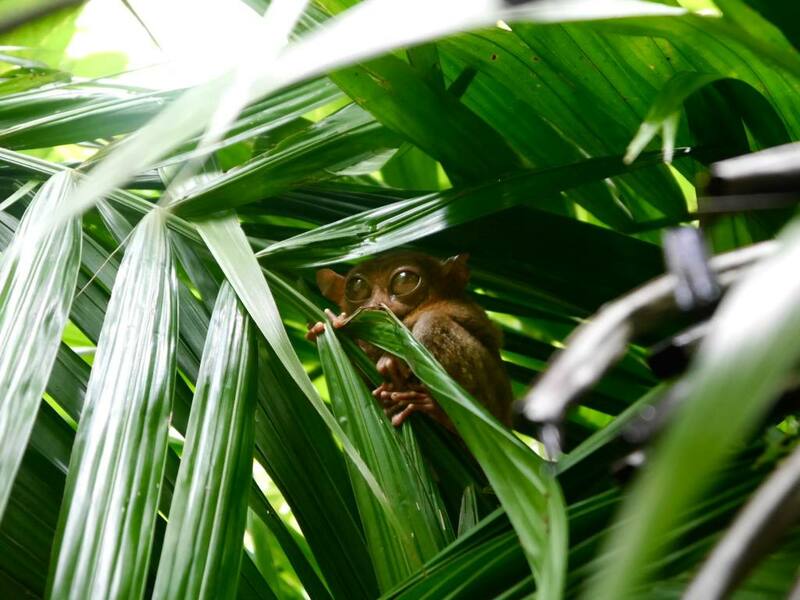 The Philippine Tarsier Sanctuary in Corella does a great job of controlling the animal’s natural habitat whilst allowing tourists to take a unique glimpse at the animals. This place is by far the most eco-friendly way of viewing these incredible creatures, so make sure it’s on your day trip itinerary. From Tagbillaran we caught a final ferry back to Cebu City (3 hours) and caught a flight to Boracay. Boracay is a tiny 7km island with no airport, so the only option is to fly into either Kalibo Airport or Caticlan Airport and take a 15 minute ferry from Caticlan Port. Similarly to Palawan, flights in to Kalibo are cheaper because the airport is located further away. The drive from Kalibo Airport to Caticlan port is about 2 hours. In terms of recommendations for Boracay, I can’t share all that much from personal experience. 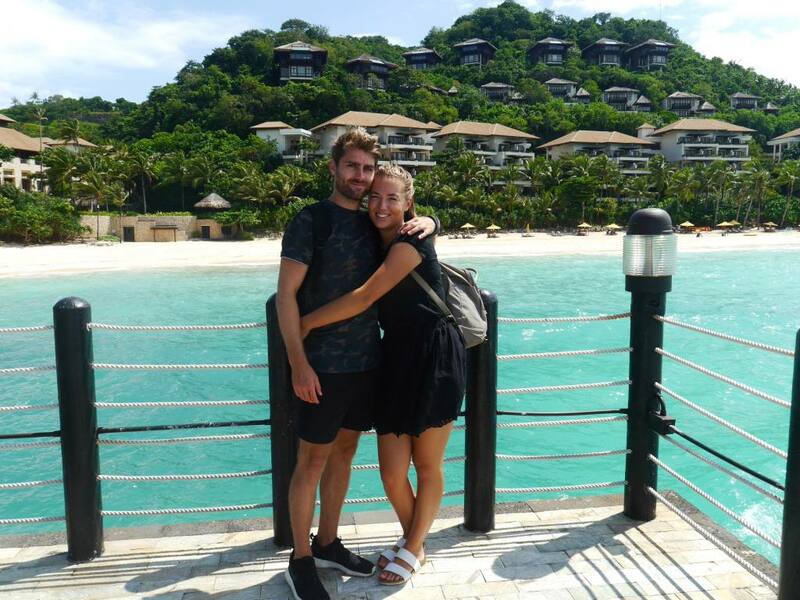 This is because we spent our time in a secluded part of the island, otherwise known as Shangri La Borocay Resort and Spa! 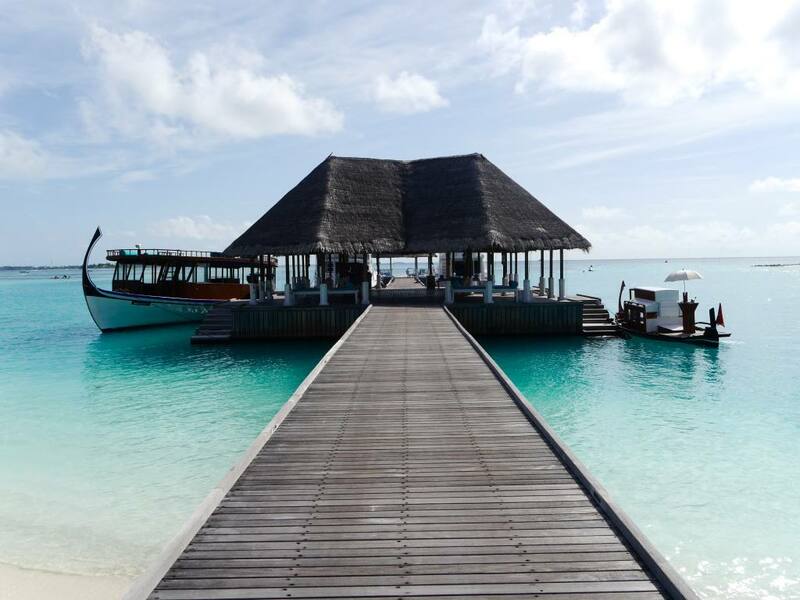 As part of an exciting campaign with Kuoni, we ended our 6-week trip in total luxury and enjoyed the peaceful amenities of the resort. Whether you want to end your trip chilling out in paradise or partying the night away, Boracay is the perfect place to do both. 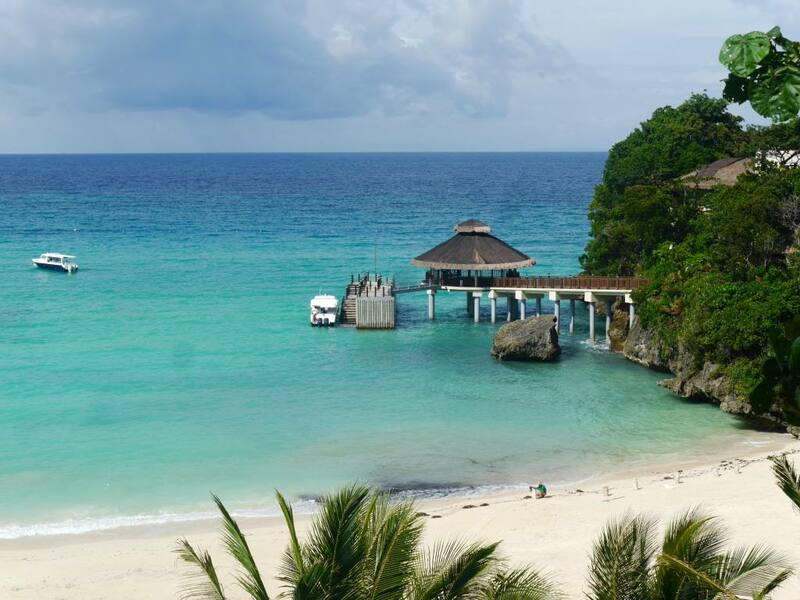 If you want to know more about White Beach, be sure to check out this great White Beach Guide from Boracay Compass Blog. Hi Jess, I’m currently booking the Cebu leg of my trip and I need advice on something. Currently, I’m planning on spending 3 nights in Moalboal followed by 3 nights in Siquijor followed by 3 nights in Alona Beach followed by 1 night in Oslob. We will then go from Oslob to Cebu Airport to fly out to Borocay. Do you foresee that this would be logistically possible considering that we would want to do ALL of the attractions in these places? Thanks in advance! i’m planning a very similar itinerary for my partner’s birthday (as a surprise) in March. I just wondered how far in advance you booked your internal flights? i want to leave this until pretty last minute in case he wants to change anything after opening the tickets and itinerary. It would be ideal to book these just before we go in case he wants to change anything but i of course don’t want to get caught out if they sell out. Excellent read – please can you confirm how much this itinerary cost? Excluding the flights to the Philippines -? indeed an essential guide to philippines travellers. thanks for sharing it. Hello, myself and my wife fly to the Philippines in May this year. My wife is Filipina though I have never been. Although I have had my Enciphilitis, Typhoid and Hepatitis shots. How safe is it to travel. I’ve not had rabies shots but nurse said wasn’t imperative but keep away from animals in general. However, I’m SO excited to travel there I’m just anxious. This has been really helpful! I am going in September, and have read lonely plant/rough guide and even though they are great there is just too much to choose from and I just cannot make a decision where to go. Do you know how much you spent for the 3 weeks including everything? Just trying to budget now to make sure I have enough time to save. Also, the other thing I would love to do is a bit if trekking, is there anywhere you came across where you could do a 1-2 days trek into the jungle/up a volcano? Also, Bohol is a great place to go trekking and get into the mountains! Hi! Myself and my friend are planning to visit for three weeks in April. Your itinerary looks fantastic and I would actually want to follow this! Do you have any recommendations so that we do not get lost along the way? Also I was wondering if you pre booked all of your flights and accommodation or if you booked whilst you were there? Finally, I wanted to ask about your budget whilst out there (a rough cost) and how much cash you would carry on you at a time? Sorry for the questions, I am nervous because I’ve not travelled there before! Thank you for replying! Is there a website to pre book the flights and do you pre book the ferries? Also… when did you go to Siquijor? I would really like to do the cliff jumping there. Finally do you mean that you booked accom a few days before the trip including hotels? Or a few days before arrival to each place? And did you not struggle for wifi there? Sorry, the last thing is that I can’t ride a moped. So Is there any other suggestions on arrival to Siquijor (also ignore my previous question about when did you go). Finally, do you recommend buying the book that you had? Your post was extremely interesting. I read it multiple times. I’m planning a three week trip there myself for next summer. Initially I had planned to do 1 week borocay. 1 week el nido and 1 week in cebu. Your two additional locations sound extremely interesting. My only constraint is I’ll be traveling with 4 kids so with this in mind do u think we should stick to 3 or do the others? Or substitute one for another ? The Philippines is definitely one of the most beautiful places I’ve ever been! We just stayed on one island but I would have loved time to see more of it. 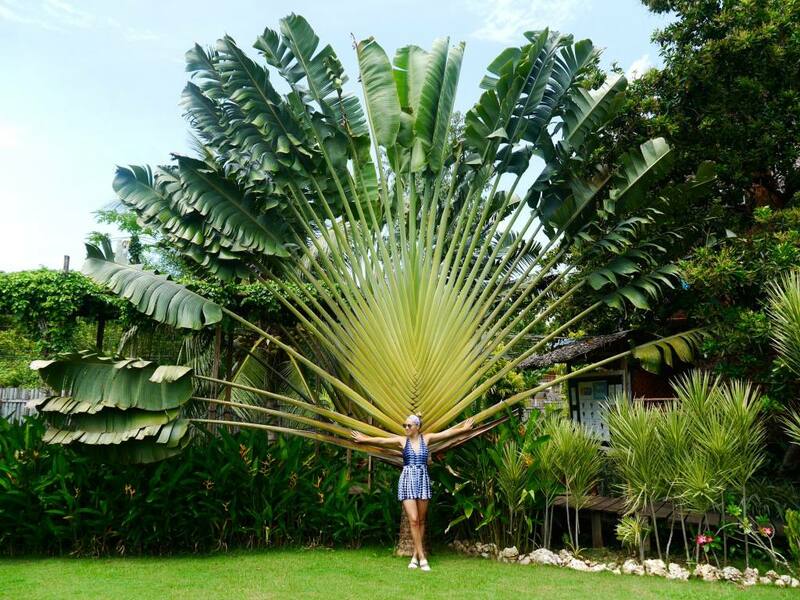 Awesome rundown of your trip – brought back many sunny memories of ours, although now you’ve given me a few more islands to visit! 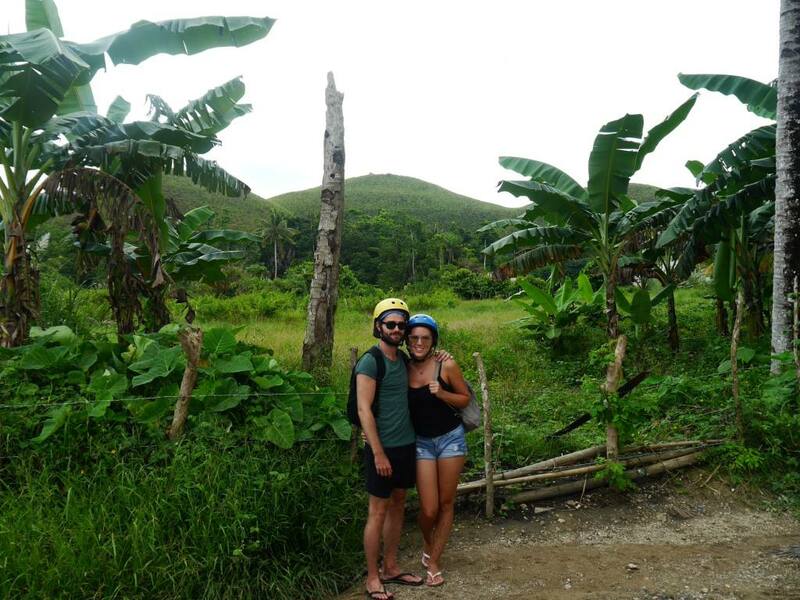 I loved our little jaunt to the tarsier sanctuary though got really worried about disturbing them after finding out about their suicidal tendencies! Gosh, I’m a Filipino and I haven’t been in Bohol and Palawan. Thanks for sharing your tips and places where you stayed. So happy you loved Philippines! Pls come back to explore more islands. haha!